When choosing a VPN service for the USA there are a lot of things to consider, and everyone’s needs are different. 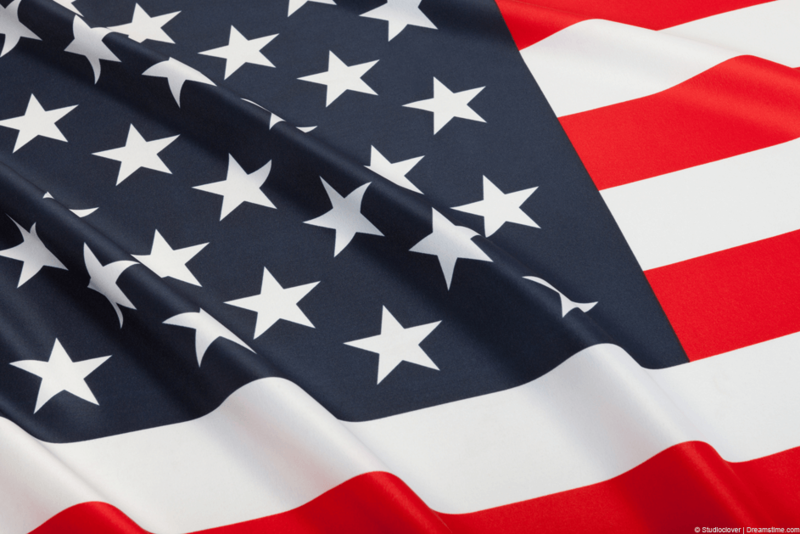 For brevity’s sake, this Best VPN for USA overview will focus on just two types of people – those who live in the United States and need a VPN for use inside of the country, and those that live elsewhere and want to access a US based service. There are many reasons for why you’d want to use a VPN, and privacy is arguably the most important one. Regardless of where you might live, a VPN will help you avoid the snooping eyes of the government and help shield you from copyright laws and the like. Regardless of your personal needs, chances are that at least one of the five providers listed below will fit perfectly with what you’re looking for. 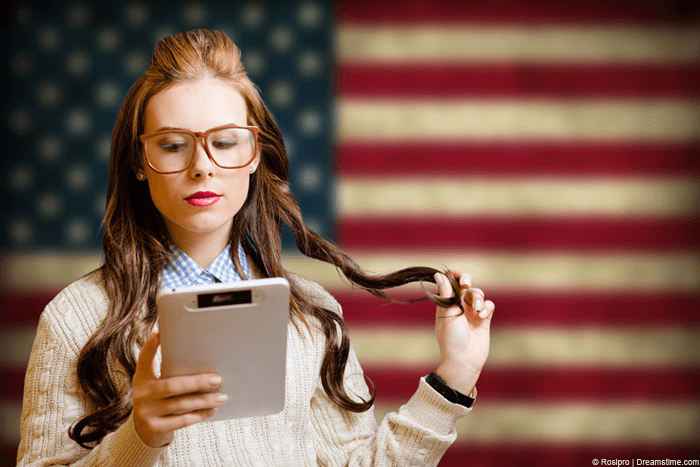 That being said, continue reading and find out which is the best VPN for USA and yourself. 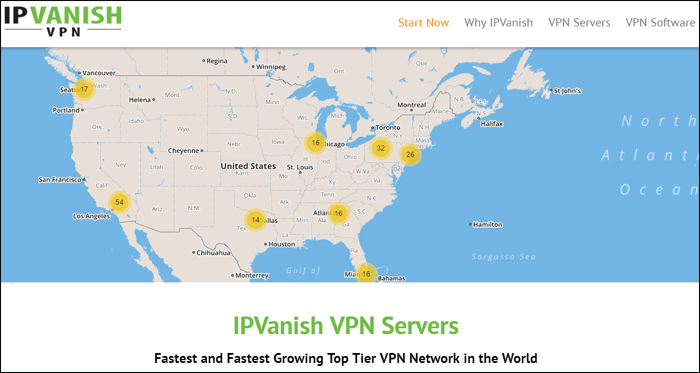 When it comes US based VPN providers, IPVanish is one of the most reliable and affordable. In my experience and numerous speed tests, IPVanish seems to always come out on top. So if speed is one of your priorities, IPVanish is definitely a compelling option. IPVanish is also a great solution for US citizens looking to access content in other countries such as Canada, Australia, UK, and dozens others. For more privacy oriented Americans, IPVanish is also a compelling choice due to the vast range of servers to choose from. Currently, there are over 40,000 IPs spanning 500+ servers in over 60 countries – making IPVanish one of the most competitive providers out there, especially when it comes to network size. IPVanish is also incredibly easy to use, and the provider offers their service on nearly every internet enabled device. Currently, IPVanish offers software for Android, iOS, Mac OS, Windows, Ubuntu, Chromebooks, and even your router. Similarly to IPVanish, VyprVPN has a very large network, with many server locations to choose from. Currently, the VyprVPN network spans over 700 servers in 50+ countries, with new IPs being added on a regular basis. 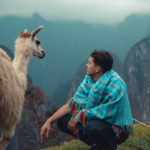 One thing to keep in mind, though, the further the server is from your physical location, the slower the connection will be – and this goes for any provider. VyprVPN has one large benefit over IPVanish, especially when it comes to extra privacy. Unlike IPVanish, VyprVPN is not registered in the US but in Switzerland. So if you’re extra cautious about your online presence, using VyprVPN might get you some extra piece of mind. Although they’re based outside of the US, VyprVPN has many servers in the United States, making it a fairly decent solution for domestic customers as well. In my personal experience, VyprVPN didn’t lag too far behind IPVanish in terms of speed. If you’re not yet sold on VyprVPN, you can head over to their website and check out their 3-day free trial. When it comes to VPN providers, offering a free trial is not common practice, mainly due to server costs. The fact that VyprVPN is available to try should say something about the quality of the service. In any case, you don’t lose anything by giving it a shot. StrongVPN is another large, US-based, VPN provider that claims to deliver military-grade security and privacy. As far as server selection goes, StrongVPN doesn’t quite compete with the likes of IPVanish or VyprVPN. Currently, there are 44 cities in 21 countries that you can choose from, over a dozen of which are located in the US. Despite having a fairly modest network, StrongVPN manages to offer some of the fastest speeds out there – making it a great solution for users wanting to tunnel out of the US. Like other competitors, Strong offers software for both Mac and PC, as well as their mobile counterparts for iOS and Android. In my personal experience, StrongVPN offers one of the most polished UX experiences out there – making their software a joy to use. To sweeten the deal, StrongVPN is one of the cheapest providers out there. If you’re just looking to try it for a month you can do so for just $10, and if you’re ready to commit for a whole year you can expect to save 50%. Even if you have never used a VPN before, chances are you’ve heard of HideMyAss! This industry Goliath is one of the most recognizable providers out there, but the question remains – are they any good? In my personal experience, I would definitely say so. HMA! has servers in over 190 countries, easily making it one of the furthest reaching VPN providers on the market. From my testing, I can confidently say that HMA! is about as fast as VyprVPN and IPVanish, meaning that speed shouldn’t be a concern. Since HMA! is based out of the UK, it makes it a great choice for American customers. As mentioned earlier, non-US providers offer a slight advantage for people located in the states. As far as support goes – HMA! offers easy to use software for PC, Mac, Linux, Android, and iOS. Another interesting thing to note about HMA! is the fact that they accept payment through hundreds of different gift cards. Meaning if you have an unused Walmart or Starbucks gift cards lying around you can turn it into a HideMyAss! subscription. For example, your $50 Walmart gift card will grant you 190 days of service, pretty sweet. ExpressVPN is somewhat of a “jack of all trades” VPN solution. While some providers listed here stand out by offering either the fastest or the cheapest service, ExpressVPN doesn’t do either. With the exception of countries covered, ExpressVPN lands somewhere in the middle of every category, making it a fairly well-rounded provider. They’re US-based, have servers in 78 countries, offer average download speeds, and are a slightly more pricey solution. That being said, ExpressVPN is quite reliable and they offer software for PC and Mac, along with free apps for both Android and iOS. The slight cost difference in the subscription can be justified by the size of their network, as well as their money-back policy. ExpressVPN is quite confident with their offering, so they extend a 30-day money back guarantee for anyone unhappy with their purchase. ExpressVPN will likely be better suited for users outside of the US looking to access US specific content – simply based on the number of available US servers. And as is the case with other US-based providers, ExpressVPN is probably not the best choice for privacy-cautious Americans. To wrap up – the providers listed above make for fine choices regardless of whether you’re trying to tunnel out of the US, or you live elsewhere and are trying to access American content. While some providers may indeed cost a few dollars more than the rest, often times they offer a unique set of advantages over the competition. Simply consider what is important to you and then confidently pick any one of the five excellent providers listed above. Based on the competitive speeds and price, IPVanish makes the best VPN for USA. The fact that it’s also available on every internet enabled device just sweetens the deal, so if you’re unsure where to start, I’d recommend checking out IPVanish. Let’s recap on the available options. Aleks is an Apple maniac. What he doesn't know about the MacBook, iPhone and all things Apple isn't worth knowing. He also has a keen interest in Apple security and privacy products.